AdComm Inc. - DFD, IFM, Receivers, Amplifiers. expertise in high range amplifiers and thermal management of power amplifiers and related assemblies. Our manufacturing facility is divided into two parts: conventional assembly and clean-room assembly for the thin-film product line. engineering phase, before they manifest themselves in production or in the field. we will meet the most demanding delivery schedules. 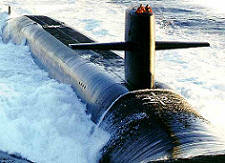 AdComm Inc. military customers include all branches of the US military and all of the leading US defense contractors.